The creature was delivered to me today, borne to my new forest hovel in a small steel coffin thrice locked and covered with chains. This unnerved me somewhat, as one can surely expect, but the woman who brought it assured me there had been no disturbing activity from inside. She was quite attractive but very stern. I found I could not meet her eyes despite that they sought mine. No doubt she actively judges me and no wonder; she is keenly aware of what I will be doing out here in the wilderness. After a few shallow pleasantries, and warnings about wolves and other dangers, she confirmed she would be making weekly journeys here, as much to bring supplies as to receive my reports, and without allowing me so much as a glimpse of her true personality whipped her handsome gelding to a trot which may not need have been so swift. Despite my initial excitement over this assignment, I find myself procrastinating, finding little tasks to place between now and the hungry moment which stalks me. Even this the first entry of my research journal is nothing but a flimsy excuse to delay. It is not with levity that one embarks on an adventure such as this, though if I am unable to begin now, when? The little thing won't be getting any deader, but its decomposition process, like everything else about it, is very poorly understood. Perhaps in the morning the ill prophecy of my unease will have passed. In the meantime I shall set forth the terms of my task here for posterity. I am called Lucian Shore and my only distinguishing characteristic is the very reason I am here; I am an anatomist and a mortician, owner of one of three major funeral homes in Kingsport, Westmarch. I have published works on the anatomy of the various species of Scavenger found throughout our world, and though I am not sure I can take such credit, I am told it was my work alone which afforded humanity an understanding of the way they burrow into the ground. I was approached weeks ago by the Archbishop Maximilian with a particular commission, a quest as I like to think of it, which may prove vital to the survival of mankind should the forces of Hell rise again. Naturally I protested on the grounds of my mediocrity, for surely there must be scientists far beyond my meagre abilities. But though I am not a man directly of the Light, I am with all my heart one of its children, and if by my efforts humanity gains some crucial weapon of knowledge, surely it will be worth my time. Thus I shall dissect a demon of the Burning Hells, slain days ago by the true heroes and transported to me for my experiments. I am told I shall receive additional corpses as they are needed. For safety I have come into the woods between my home city and legendary Tristram, where a little shack was constructed specifically for this purpose. There is little here but a cookfire, a straw mattress, shelves, a small number of anatomical texts, and the great dissection table at which I will spend most of my time over the next weeks and months. In these journals I shall divide my thoughts into two separate types, for I feel both may prove relevant in the future. In one volume I will document the pure science, the facts of what I may discover. Secondly, and perhaps more importantly, I shall note in this journal my feelings on the matter, my intuitions. The emotionality of cutting into a creature of darkness. Perhaps there is nothing to fear, but I wonder if there is more awaiting me in the evil tissues of my subject than may be seen or felt. One can only speculate. It was harder than I ever imagined even just to unlock the casket. Over and over I told myself I was allowing my imagination to run wild. But more and more menial banalities offered their temporary escapes, until finally after lunch I set my teeth, tightened my lips, and opened the damn thing. Inside, to my great relief, was nothing so terrifying as what haunted my sleep last night. The stench was vile but not noticeably worse than what might be emitted by a natural specimen. It is an impish creature, perhaps two feet tall and humanoid, with rough crimson skin and batlike wings. Its face and shoulders brandish an arsenal of fangs, horns, spikes. The sneer frozen on its sinister lips expresses nothing more than pain and violence, a kind of craven hunger. Perhaps greater demons boast more supernatural anatomy, such as the power to turn to ash when killed, but this lesser creature is anatomically simple: red flesh and black blood, but flesh and blood regardless. The first stages of my work proceeded without significant difficulty. What struck me immediately was how humanlike it is, internally. All structures of the viscera accounted for, with minor and interesting deviations. The adrenals are very large, which is a mutation I expected given the great aggressiveness of most demons. Other anomalies include a relatively large heart and a strangely tiny stomach  the thing must always be hungry with this anatomy! Tomorrow I shall explore the skin and musculature and get my first glimpses of its skeletal structure, which I anticipate will bear obvious differences such as additional vertebrae for the tail, though I wonder how the wings will be attached. I found myself thinking a great deal about the woman who brought it to me. Gwendolyn, she had named herself, a moniker just as exotic and strong as the lady herself. Though she did not confirm it by word or any action but her effortless grace, I suspect she is one of the Sisters from the north, a hero of the days of the Demon Princess. Perhaps that is just my infatuation talking. By no means do I expect requital of my silly schoolboy obsession, but hopefully I can earn her trust at least. Ah, and now it seems Rapier has finally given up his curiosity about what lays safely locked in its container on the dissection table and deigned instead to harass my writing this entry. He is a dear friend despite that he is feline incarnate. He has spent all his time indoors; he would never admit it, but I am certain he is terrified of the wilderness. If I had a wife, she would ask me every day why I didn't bring home a puppy instead. All progresses as expected and I am prudently confident as I face the days and weeks hence. Perhaps the knowledge I seek will demand a steep price but as the Light is my witness, I am eager to pay it if it means the agents of the Burning Hells will find us not so easily harvested as last time. The last week has been quite enlightening and there is much to cover. A full accounting of the creature's anatomy may be found in this journal's brother, to be submitted and published alongside this personal log, but here I shall make a few notes. Very little surprises or bewilders me except the very fact of the scarcity of mysteries. Overall I find its anatomy very humanlike aside from a few simple deviations. There is, however, one thing I cannot account for, an inexplicable gland-like structure the size of a grape, buried in the abdomen near the stomach. My first impression was it is some kind of acid production site which allows it an effective projectile weapon. But its saliva glands already perform that function, and on dissection the object showed no hint it can produce anything at all. It is not muscular, neural, or indeed any kind of flesh I know of. For the life of me I can think of no purpose for it  perhaps it is some sort of tumor? I shall need more specimens to explore this possibility. If it is not pathological my best speculation is it is some sort of communicative device. A link to the Burning Hells from whence it comes, maybe. I hope to learn more of this later. Today was the second visit of the enigmatic Gwendolyn, arriving with a second imp as well as a few knick-knacks and rations for the coming week. Actually, I am ashamed to admit the circumstances of her arrival, for I was attacked today by the hungry wolves of which she warned on her first visit. They had me cornered in a rocky outcropping and there I stood shrieking for help. If she had not descended like a lioness into the fray, arrows flying like bolts of lightning, I would not be writing about it now. Later on, to my delight she wondered aloud if she could stay the night, for it was already evening and the forest becomes vicious after dark. She promised not to intrude, even as I promised myself not to betray this gesture of trust by making a fool of myself. She rejected my offer to cook dinner, and subsequently roasted a hare she had shot earlier that day, seasoning it with things I could not identify but which delighted my unrefined palette. There was scant little conversation at first since I had resolved that I could not be the one to delve deeper, but soon it was she who did so. For all his faults, it was Rapier who unlocked the gates of more personal discussion when he leapt into her lap, purring his little gut out thankful as he was for company aside from his master. After a few moments of simple questions and simple answers about my beloved pet, she wondered: "Sorry if this is unkind, but is he your only friend?" My smile was knowing and kind. "Sometimes it is hard to believe otherwise," I said. "I did have a few colleagues and rivals back in Kingsport. But aside from a girl I thought would be my wife, I was not close to anyone." She nodded, perhaps unwilling to explore the topic of my love interests. "Did you find anything interesting?" "Sorry? Oh, the imp. Yes, there was a strange... mass in his gut. It may be some sort of disease. If this second one has it as well I'll have quite an interesting challenge." "May I ask, Dr. Shore," she said allowing me my first glimpse of her unease, "what do you feel about this... chore of yours?" "Yes. How did you react when it was offered, and how has that changed since you arrived?" "Ah, well, it seemed a fool's errand." I paused, perceiving then that my answer would suffer her very careful scrutiny: she was gauging how much she could trust me. Assured of her intentions, I continued. "Demonic anatomy, I assumed, would be unapproachably foreign. But in Kingsport my work was trivial. I have often felt useless; these are times for great heroes, and many brave men and women have given their lives or worse. I am a small man, a timid man. I lack the fortitude for adventure. This was a chance to help where otherwise I would be a nothing." "Of course it does," I smiled. "I can hardly imagine any man facing the Burning Hells truly unafraid, even in this indirect way. I always imagined even the greatest heroes have simply learned to control their terror." "Do you know the story of Marius, the betrayer?" "Ah yes," I nodded sagely. "He was also a small man," she said, and her eyes were arrows trained on my heart. "He was a nothing too. It was not greed or powerlust that permitted the Lord of Destruction to remain in our world. It was weakness, Dr. Shore, the timidness and stupidity of one poor fool." My smile withered away to nothing. I might have replied but her words were very sharp in my soft flesh. "I don't say this to drive you away, Dr. Shore, just to caution you." "Thank you," I managed. Then I added a little sad smile. "Fortunately I shall have the intrepid Gwendolyn to guide me, will I not?" At this she sat back with her plate, but something I had done must have impressed her, because in her face shone a sunrise of good humour, something around the eyes. "Call me Jane," she said. "A strange nickname. And you, please call me Lucian." "Never liked that name. Do you have a nickname?" My cheeks become furnaces. "I did, when I was young. But..."
"Yes?" She was grinning then, eagerly awaiting what might cause such unease. "It is an embarrassing story," I admitted. "Tell me anyway," she urged. "We have time." "Ah, well, at the Academy I was... even more timid than I am now." "You were being educated to be a physician?" "Correct. Of course I ended up a lowly mortician, but that is a different story altogether." "Ah, well, you see I had little or no power to make friends. Peers can be scary things, cackling demons in themselves. So I sought the company of my professors." She nodded but cruelly made no comment to distract the telling of my emasculating tale. "There was one in particular I liked very much. Nothing indecent, you should note. But he was a good fellow." "There is nothing indecent about a young man seeking a mentor." "Yes, well, that is the very source of the nickname. My classmates jeered me, saying I spent so much time around him I may as well be his minion." "And that is the nickname," I said. "Minion." Her smile grew. It was very pretty. "How cute," she said. And for a strange moment she sat watching me. If she had known me longer I might have thought her expression was almost fond. "I have not thought of that for many years. Everyone just calls me Lucian." "Yes, I should probably just use that one. But you can still call me Jane." Smiling I leaned forward and offered my hand. "It is nice to meet you, Jane." Her hand was warm and soft in mine. "Lucian," she said. These events seemed to have laid a strong foundation for the rapport to come. My assumption is she needed to see I am no man of avarice, and to search for the strength my task requires. As she sleeps near the fire I see now she was right to doubt me, for terrible deeds have come from just the sort of thing I have been asked to do. I shall take her unspoken advice close to my heart, and draw courage from the trust she has demonstrated by warming up to me. The inhabitants of Hell will find me no easy prey. Mysteries in enigmas. The second imp delivered to me by the lovely Jane has revealed I know next to nothing. Everything still accounted for, all the various systems of life. But there were significant deviations in its various structures, especially its brain and spinal cord. In fact, the only thing identical from one imp to the other is the unidentified sac in their guts. And another difficulty: the first imp has entered its final stages of decomposition, indicating demonic flesh breaks down far swifter than mortal. I recall that demons are at their core nothing but incorporeal spirits said to spawn in a place called the Black Abyss. Their bodies are mere suits of armour for their dark souls. Perhaps the same can be said for humankind, but if my theory is correct, demons are much less attached to their bodies than we are. As for the gut sac, I have far too few options for experimentation, for despite having dissected two demons, I still have only one sac. If anything, the sac wastes away even quicker than the rest of the damn thing. My frustration at this setback has endured for over a day. Fortunately the practice of the first imp allowed me to complete the dissection days ahead of schedule, allowing me time to adjust, to settle, and to think. According to the schedule I helped to create, there will be two more imps, and then I will move on to the khazra, the goatmen. Some believe the khazra are not demons at all, but merely twisted members of an ancient clan from the East who have allied with the Hells. Part of the dissection, then, will be to determine the truth of the matter. 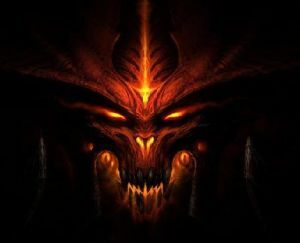 After a few khazra I will explore other varieties of demon. I fight to remain positive. Perhaps the next specimen will cast the light of knowledge on my work. And I must remember, if disappointment cripples me so early in my task, how can I expect to finish it? Last night a strange occurrence: on my way back from the little stream to fetch water for my stew a pair of wolves crossed my path. They laid their ears back and showed their teeth, and the fear was in me rich and burning like hot tar, but it occurred to me their posture was defensiveness. This was confirmed as slowly they backed away, further and further, and finally shot off into the woods like arrows. They were afraid of me. It is not unusual for wild animals to fear the invasion of man. But these wolves are strong and hungry, as Jane had said. They never hesitate to attack meat that cannot fight back. So I am left to wonder: what makes them think I can fight back? A flash of insight as my knife entered the fourth imp, noting again the major structural differences between these imps: one will not find human corpses identical either  there will be significant anatomical differences between a skinny man and a fat man. Perhaps these structural deviations follow the same logic; they are just differences one would not find between humans. If demon souls adhere more loosely to their bodies than humans do, this strangeness would be understandable. I do consider it a breakthrough to discover the same odd mass at the guts of all four imps. I can still only speculate as to its purpose, as still I have only one healthy sac to work with. But anything consistent can only be considered encouraging. It seems the khazra are demons after all, if the gut sac is indeed a structure found in demons. Evidence seems to suggest this is true, but there are far too many unknowns  what if a similar structure can be found in angels as well? Are there animals with such a thing? Not that I know of, but I have not dissected every creature in Sanctuary. The goatman decomposes slower than the imps; its process seems closer to that of humans, actually. Perhaps it is true the khazra were once human, and they retain their closeness to their bodies. Does the gut sac grow, then, in mortal creatures turned demonic? I have asked Jane to bring me two imps along with the next khazra. I simply must have multiple sacs to test. My instinct tells me it is some sort of community device; they may react to proximity with each other. Another thought comes now into my mind: if the khazra were indeed men, and the gut sac grew, is it not possible to do the same to some other creature? Perhaps this mysterious structure can be considered the physical evidence of demonic corruption. And... I am unsure if I should even write this, but a new idea has presented itself. It seems quite macabre, however. I suppose a true scientist explores all possibilities, especially when he is otherwise stumped. Again, it seems so twisted, but I wonder what would happen if demonic flesh were eaten? But never mind; it is so clearly immoral I must attempt to forget all about it. Perhaps it is the nightmares perverting my thoughts. Nothing. It has been some time since I have written, because there is nothing to write. The khazra display some interesting anatomical anomalies but nothing I can't easily explain. Still the gut sac eludes me. They do not react to each other, either because it is dead flesh or because that is simply the wrong experiment. And the only other experiment I can conceive is stumped as well, for the wolves and all other wildlife flee my approach as though I am the harbinger of death. They smell it on me, the demon blood. I smell it on myself. My progress is arrested where it stands. My research generates interesting facts, even applicable ones. I have begun a third journal in which I will catalog the various weak spots and battle tips. Strike here to disable its corrosive spit. It cannot see directly in front or directly in back. Things of this nature. But still I make no real progress. Demons haunt me, but these are immaterial as the very air in my lungs, for their names are doubt and depression. Tomorrow Jane arrives with the new type of demon, a Fallen I am told. If it reveals no new insights I am not sure what I can do. Heaven help me, I am the worst kind of fool. Speed of decomposition is no function of how fiercely the spirit cleaves to the body, and the sac is no communicative structure. Demons are not of this world; they are visitors. Arcane shackles bind them here. I have not thought in magical terms. I am an anatomist, not a mage. But how can I possibly experiment with such things? The Archbishop was a fool not to send me with a magely colleague. Dreams are the vehicle of the demons' existence, nightmares of fire and flesh; their nature is to desire, and to indulge. I have kept myself too detached, afraid of dead things. How can I expect to gain knowledge where I am afraid to venture? I have approached this problem from the wrong angle. To know is to accept. A wise man does not ask a question where he will not listen to the answer. Rapier seems to fear me now, as well. The demon blood on my hands and arms, spattering my cheeks. I must act fast then, for he may soon learn how to survive in the wild and never return. Jane comes in the morning; I will do it after she departs. Success! Wild, unambiguous victory, and I am so excited I could burst. The transformation was subtle but vicious, and it took several hours before I noticed any change, and oddly enough that change was sneezing, vicious sneezing every few seconds. Not long after that he began yowling, a tortured sound like a strangled infant. When I approached he hissed, all his hair standing up, terrible rage in him such as I've never seen. He scratched himself against corners until he bled. Some time after that he began gnawing on his tail, and he continued until he gnawed it clean off, which seemed to give him some relief. He wanders around, his bloody stump of tail utterly unnoticed. He eats so much; it will not be long before he has finished off the entire week's supply of his food. But despite so much e he has gone gaunt, his skin clinging to his bones and yet he shows no sign of decreased strength or agility  quite the opposite, in fact. It is fascinating. I am left to wonder, what is in these tissues my instruments cannot measure? What mysteries elude my limited knowledge? What other experiments can I conduct to further understand the terrible mind of a demon? It is two days until Jane comes again. She has once again grown wary of me, though nothing has changed. Perhaps she smells it, too. Humans are animals as well, after all. We just have the ability to deceive ourselves. Another success, but this one troubling as well: Rapier grew a gut sac. His feline anatomy had also mutated in interesting ways; his adrenals swelled, of course, and the other consistencies I have come to expect from demonkind. It seems his body had gained a craven sort of power derived from a voracious hunger which would never be satisfied. More and more I come to see: what distinguishes demons from humans is less anatomy and more emotion; less fact and more truth. The Zakarum teaches that all creation may be seen as a prism of light; on one side the High Heavens, on the other the Burning Hells, and humanity rolls back and forth between. I see now, however, and may the Light forgive my blasphemy, this prism represents not good and evil, nor light and dark, but contentment and hunger. This is not to be contested; the Host is legendary for its peace and reserve, and the Hells seem always to be hunting for something none can know, undoubtedly not even the Hells themselves. Humans dwell betwixt these extremes  they hunger; for food, for love, for wisdom  but by their efforts they can find the rest of fulfillment. Rapier's blood paints my hands, a crimson sheen glistening in the firelight, the latest coat in a lifetime of slicing into dead things. Blood is the language of my trade, of every trade really. Blood whispers in the vessels behind our ears, calling to the shadows in the corners of our vision. What does it say? Does it want to be heard at all? In the morning Jane will arrive with the new specimen, but I doubt there will be much to learn from it. Anatomy alone will not light the flame of knowledge. To adequately complete my task, I must delve deeper. I must dissect demonic psychology. From the moment she arrived under a sky dark with clouds, I saw she was uneasy. The animals for miles, she says, have grown sick with hunger and fury. Wolves have surely not frightened her for many years, but though she did not volunteer its existence I noticed a terrible bite-wound on her arm. More accurately, and disturbingly, I smelled it on her. At this juncture of my adventure I feel it wise to exercise a bit of objective self-scrutiny, for today's events alarm and unnerve me. To this end I will relate, to the letter, the conversation betwixt I and the rogue Gwendolyn. I will examine my own motives and withdraw from the facts the reassurance I need to continue, if indeed continue is what is best. She was reserved and even suspicious as she helped me carry the new specimen inside the hut, place it upon the table, and then refused my offer to sit and share my breakfast. I found my first urge on seeing this distance was to hide, and even to deceive her when the inevitable inquiry began. "Where's Rapier?" she said, her first question. "Ah, he must be outside. He has grown bolder these few weeks." She nodded once, slowly, eyes scanning my humble apartment. Those eyes had pierced the darkest shadows; I felt quite exposed before them. But she seemed not to find what she was looking for. "Anything new?" she said. "I am afraid not," I said, showing her a mask of disappointment though in truth I felt quite encouraged. "Still can't explain the gut sac?" "Oh, I have my theories. But that is all." And then our interview took a turn for the tense, because her next words bore laced within them a threat she clearly tried to veil. "The Archbishop worries for you, doctor. He is not sure isolation was a good idea." "It was the only idea," I protested. "Imagine if something went wrong  would the Church risk innocent lives?" "Still, you're all alone out here. There's talk of sending a companion." A companion  a spy would be more accurate. The Church mocks my progress. My internal response to this threat was like throwing whiskey in a fire, and I found it quite difficult to keep control of myself. As it is, I could not help but ask, "Who is talking about such things?" After this I could not help but grow visibly agitated. "That would be a... an intrusive inconvenience," I jabbered. "Yes, most unwelcome. If the Church wants results, they would be wise not to interfere in my research. Yes, most wise not to interfere." As I protested this new development I found I could not sit still; I fidgeted, twitched, could not meet her eyes. Even then I knew how it appeared. But I have grown agitated before. When I was young I could hardly speak to another human without significant discomfort. "Dr. Shore," said the adventurer, "you were the one who said you would only needed a month or so." "A month or two," I snapped. "But you say you haven't made any progress." "Oh, it's coming along," I said. "Yes, most encouraging progress. I have discovered a number of interesting anomalies. I am not ready to report it, but it's coming along." She did not reply, only followed my subdued little outburst with those untrusting twin jades. And if this were not enough to prove I deserved her mistrust I must admit at this moment I was suddenly overcome by the dreadful urge to, put lightly, deprive her of her condemning eyesight. And though I did not, the hunger turned and turned inside my guts even unto the moment of her departure. This experience has shaken me quite beyond the ability to work, and here I must confront the awful possibility: that I may have become host to the dark powers, somehow. If it is true I will clearly no longer be trustworthy and I must give myself over to the Zakarum to be exorcised. And even if it is not, I must be cautious. I will approach it the same way I approach every dilemma  empirically. I will examine the logic of my words and actions and determine whether or not I am of sound mind. First, the deception. I willingly withheld the truth on three major occasions  about Rapier, about my new research direction, and then about the general morale of my progress, though of course that third lie was hardly convincing. Clearly this behaviour is indefensibly suspicious. Second, the fidgeting. It is true I have in the past found it quite difficult to meet the eyes of my fellow men, and to stammer and squirm. However, I have long since made peace with my limitations and it has been some time since I was overly nervous in the presence of others. Perhaps my work has simply made me emotional; relapse can hardly be condemned. One point for sanity. Finally, the most incriminating evidence against my psychic health, the urge to do violence: I have never in my life raised a hand against another living creature, nor even felt the desire. This seems fairly unambiguous; there must be some sort of outside influence working on me. Then again, perhaps it is foolish to pass the blame off to some other creature. The very existence of otherworldly forces in our world allows so many murderers and thieves to shrug and say, demons made me do it. The blame is my own, I am the guilty party. I must be cruelly overworked. After all, it was Jane herself who threatened me with supervision. No, not supervision  oppression. Some tyrannical cleric to come to my house and dictate the direction of my research. Whatever else I may determine, this act they want to impose on me, it is wrong of them, empirically wrong. For the best results, a scientist's work must not be troubled. Anyone wise would confirm this. Very well, we have determined my reaction was justified. I have led a very private life; how can I be blamed for extreme emotion when placed in a position where another person would violate my privacy? Truly, I can be commended for my restraint. I can conclude that the only true indicator of my fitness is my core motivation, and as I have no other aim but that which I set out to do from the start, I conclude that my path is true and right, and any conflict is due entirely to the evils of our world. That is, the Archbishop and dear Jane have no choice but to imagine things upon viewing my odd behaviour. If I were still at my funeral home such eccentricity would be expected. But here, the same behaviour can be interpreted as demonic corruption. They are short-sighted and ignorant, but I can forgive them. I must, for logic has proven I am a right and true servant of the Light. Tomorrow I shall carry on my research quite confident of my sanity. As I predicted, the new specimen  a corrupted rogue from the time of the Dark Maiden  bears inside her all the usual anatomical structures, including the gut sac I have come to admire for its very mystery. It once and for all confirms that demonic forces have the ability to rewrite the internal laws by which living bodies govern their physiological processes. This creature on my table, which once was a human woman of dark hair and fair skin, had mutated utterly, so that her body behaved day by day as though its new twisted form were right and correct. A very interesting faculty of these dark powers. It puts in me an exciting and chilling new idea to join my existing direction of thinking emotionally, rather than physically, to better understand my subject. The feline was altered by simply feeding on demonic flesh  would it have a similar effect on a human? My first theory about why the wolves fear me, and why Jane mistrusts me, involves the blood: perhaps some property of that blood has seeped into my hands and thence to the rest of me. A regrettable accident; perhaps I should have worn gloves to dissect these creatures, but it is foolish and insane to dwell on the past. The interesting supposition that presents itself: if my body has been tainted by demonic corruption for weeks, and if I have maintained my free will and logic for all that time, perhaps it can be fought. Ah, it would be so interesting, would it not? I sit before the cookfire writing these words, and the remains of the evil rogue lays but ten feet from me. The stew bubbling in its little cauldron; there is room for a bit more? What is the worst that can happen? Were I to lose my will to the Burning Hells, surely the resulting creature would be no match for the might of Gwendolyn, Sister of the Sightless Eye. And there is so much to gain  penetrating insights I can only imagine. Such great knowledge is surely worth risking one old fool. Whatever his faults, the Archbishop is right: anatomy alone is of no use to humanity. Yes, it is the very fact of my continuing interest in furthering the cause of the Light, even now, that assures me of the sense of my decision. Thus I shall endeavour to launch a new form of research. And if this is to be the final written history of Dr. Lucian Shore, let it be known I served the Light to the end. No damn effect. Two days and nothing. It was only hours before Rapier began to change. Perhaps I should eat more, no matter how brutally foul it tastes. Surely there is no turning back now. Nightmares do not hurt, Light take it. Dreams should not be painful. An effect of the eating? Blood thudding in my ears, blood in my hands, it wants to get out. We are naught but sacks of skin keeping in our blood, holding it all in, hiding our rage. It is deep in the night but I cannot go back to sleep, sleep means pain, means fear. Perhaps I shall never sleep again. I know now why Rapier grew craven. It is the hunger, it takes hold. I have eaten every morsel in the house and I am still hungry. I have drunk the well dry and still I thirst. And despite my voracious appetite I have lost weight. The skin of my stomach peels back, hugging under my ribs. I do not know where my organs have gone. Lack of sleep is a lash upon my mind. I try to rest but the dreams snap shut upon me the very moment my eyes close. Sleep deprivation itself can cause madness  I really must find some way to shut out the nightmares. My head fills with frightening images, the hunger compels me forth. I require food or I shall surely perish. I see myself in the forest, preying on any little thing I can find. Will I even cook it? I am myself. I have succumbed to no insanity or delirium. I see nothing that does not exist. My will is my own. I am just so damn hungry. I feel the hunger is itself the vehicle of madness by which the whispers of evil turn their prey to darkness. If this is true I must gorge. I must keep control, not for myself for my life is surely forfeit, but for the sake of my mission here. Even now I can hardly wait to finish this entry and find my first meal. Yes, I shall delay no longer. I was correct; slaked, the hunger has less power over me. If I gorge I can even calm the whispers and dull the nightmares to get a miserable few minutes of sleep. I survive. And what fascinating developments reward my courage! My body has grown as bent and craven as Rapier ever was, and what was left of my hair has fallen out. The distal phalanges, both carpal and tarsal, have elongated and sharpened, giving me claws I find quite suited to my new endless task of hunting. I am swift now, and powerful as the very lords of Hell. Wolves would fear me, if they could but hear me coming. Additionally I find my sacrum protruding down and out, thinning and tapering at the end. Soon I will have a long tail. The rogue will arrive in two days. I do not believe I can hide these mutations from her. She will not approve; she may even attack, believing I have gone over to the side of the Hells. I have yet to determine a wise approach to this problem. I will avoid violence if I can. I am still a servant of the Light. But my task is of utmost importance; what is one rogue to the possibility of defeating the Burning Hells forever? How interesting  in writing those last words I was awakened to an intriguing new concept. I shall examine it further. I need to hunt. Ah, what a fascinating creature I have become. This morning bore the arrival of my erstwhile friend Jane, as usual at the seat of her little wagon, but this time she brought with her a new pack which doubtlessly contained living effects. I regarded her approach from the high branches of a nearby tree, unwilling to let her choose the terms of the inevitable battle. The familiar hunger for blood overtook me, and to my surprise I found her quite simple prey. When she lay lifeless at my clawed feet, there was a moment of pity and grief, and I gained control of myself long enough to bury her properly. Not ten minutes later the hunger drove me to dig her up and feed on her soft flesh. Her bones, licked clean with my barbed tongue, now litter my abode. Gloriously, I have discovered once and for all the purpose of the gut sac, for I have grown one myself. It burns and beats, a tender little lump in my belly, and siphons away the great majority of food, turning what I eat to ash. It must be some sort of living parasite, enslaving me to the ravenous hunger. Truly it is hunger that gives life to a demon, hunger for food but also hunger for violence, for death. Insatiable. I hardly recognize my reflection. I am a twisted creature, all sharp angles and spikes. The skin of my face has loosened allowing me to make a terrible, hellish grin spreading from ear to ear, and my teeth have sharpened as well, the better to rip off my food. My eyes are pits of darkness. My back has bent. I could hardly blame anyone for mistaking me for a being of pure evil, though I continue to work for the cause of the Light. And yet, that work has ground once again to a halt, for despite the many great insights I have gleaned that will unerringly prove useful, there is little else I can learn without delving deeper. There are several thresholds I have yet to cross, and once I have grown strong enough I will  with the caution and restraint I have unquestionably demonstrated over the last weeks  explore them. My research must continue. Ah, amusing! I have just remembered my old childhood nickname; how appropriate now, that I am less a minion than ever. I am puppet to none but my own unfailing conviction. Clearly it is the Archbishop's loyalties that must come under scrutiny, not mine. Do we not recall the terrible works of old Lazarus, those years in doomed Tristram? And what of the Zakarumites in the fallen kingdom of Kurast? Religion has only its own interests at heart. I am the light of the people themselves. One day I will be praised, perhaps posthumously, but there it is. My old name has little meaning now. I shall henceforth be known as Minion, for the word implies all that I am not. As for my plans, I have yet to murder a truly innocent mortal, have yet to indulge in the other awful emotions attributed to demonkind; revenge, hatred, greed. The nature of mortal pain and torture also promises fascinating results. My forest has grown corrupt and evil, and its denizens have become little demons in themselves; even the mosquitos are unusually predatory. But there is nothing here to further research. I must return to the world of man. My home of Kingsport will surely prove an excellent place to conduct my experiments. I find I can hardly wait for my arrival. Short story rough draft written for the 2011 Blizzard Writing Contest. Title is gay, I really need a better one with more layers. But writing is an unending series of placeholders and I'll-get-to-it-laters. Thanks for your comments and the fav, Matthew! This is a very good read. I love how he continues to justify his increasingly evil actions. Thanks man It was fun to write. Amazing, really! I'm a fan of Diablo and you did a good job. I couldn't stop readding it, gratz on the award, you deserve it. Hope you continue writting, I'm sure i will be readding about you soon. I have no doubt in my mind that this story is well worth the finalist position it was awarded by blizz. A very interesting read that I couldn't pull myself away from to get some sleep of my own. Gratz on the award and can't wait to read more of your work. Happy holidays as well. Evils? What the hell dude, he's just doing research to further the cause of the Light. Could you post the final text? This one is pretty final, I don't think I've changed anything major. What did you think?